Thank You for Helping to Be the Answer! Wow! You did it! It's been extraordinary watching our Be the Answer Campaign gain momentum, building speed in each of its five years and blowing past our original goal of $15 million. When we launched the Campaign back in 2011, our objective was to build a strong financial foundation for the school and to provide our students with the support they need to get the most out of this unique program. Student tuition scholarships and dissertation fellowships. Support for our faculty. And a healthy enough endowment so that we could offer the kinds of complementary programs — analytic computing, Career Services, mentoring, and family health insurance — we'd expect at any top Ph.D. program. Believing in the school but, more importantly, believing in the potential of our students, our alumni, and philanthropic supporters, we tackled this feat with gusto. The Campaign was led by chair Don Rice and our Board of Governors, who not only supported the launching of this audacious effort, but personally committed to its success. There's more on the Campaign, its objectives, and its achievements below, but the end result was more than $30 million pledged toward the very goals we established five years ago. Quite simply, thank you. Your support makes it possible for each student to Be the Answer. The Pardee RAND Graduate School launched the Be the Answer fundraising campaign in May 2011 with a bold goal of raising $15 million to strengthen the school's financial foundation and ensure our commitment to excellence continues into the future. With the extraordinary generosity of our Alumni, Board of Governors, Dean's Leadership Circle members, RAND's Trustees, and the broader RAND Community we have soared well beyond our original five-year goal. The goals of the campaign were to strengthen Pardee RAND's base in both the near and long term, and to support key areas including scholarships, dissertation funding, academic programs, and student and faculty support. This support is helping to produce new policy practitioners who are impacting the world, from their work strengthening cities and improving health care to creating effective sustainability solutions and enhancing economic development. As RAND President and CEO Michael Rich noted, "Pardee RAND Graduate School—its student body and faculty, backed by our alumni and other supporters—has the potential to help RAND chart an entire new course. This school can transform not just the science and art of policy analysis, but by serving as an engine of innovation for the world's most prominent policy-research institution, it can also help transform the practice of policy analysis, too." To the many friends of the Pardee RAND Graduate School, thank you for a successful campaign and for your investment in our future. With the beginning of the new academic year we're pleased to announce eight new course offerings for 2016-17. The dynamic RAND researchers committed to teaching at Pardee RAND continue to innovate and expand the school's curricular offerings. Courses will be taught in multiple formats with professors and guest speakers across RAND locations. Full course descriptions are available online. Pardee RAND will also initiate design studios in the winter quarter as a next step in the school's recently concluded "Reimagining" efforts. Adapted from a technique found in many architecture programs, the studios will focus on problem solving and will serve as a space where students can present their results, explore new ideas, and undergo formal critiques in a collaborative environment. Have You Finished Your Summer Reading? Dean Marquis once again compiled a summer reading list featuring books that address key policy issues — thoughts on how power has shifted and the implications of that relocation; the often-forgotten complexity of real-world policy problems; and the development of transformational ideas and their effect on our understanding of the world around us. The incoming students of cohort '16 were asked to read at least two of the books listed above this summer, the first one being required. If you're looking for something to read this fall, you might consider one (or more) of these titles — or one of our previous recommendations! For many graduate students, writing a dissertation can be an unsettling experience, full of false starts and dead ends. Serving as the third Brown Faculty Fellow of 2016, Chapin White met with students and conducted several brown bag sessions geared at providing support and addressing common concerns surrounding the dissertation writing process. During his month-long residence in Santa Monica, he worked with students on thinking through what they want to get out of the process, and how to get there as smoothly as possible. These sessions served as a forum for both students and faculty to share their "if I knew then what I know now" stories. Apart from his brown bag discussions, Chapin also partnered with the school's Career Services Office for a career talk. During the discussion, he touched on his positions before coming to RAND with both the Center for Studying Health System Change and the Congressional Budget Office, as well as how to apply and reach out to similar institutions for employment opportunities. The primary goal of the Brown Faculty Fellows program is to enable Pardee RAND faculty members to spend quality time advising and engaging with students. Endowed by RAND Trustee and former Secretary of Defense Harold Brown and his wife Colene, the Faculty Fellowship is designed to support faculty interaction with students in important policy areas where there is strong faculty and student interest. Continuing in the fall, the fellowship will see three new faculty members take up residence in Pardee RAND through 2017. The first two fellows include Lisa Meredith, senior behavioral scientist and associate director for the Behavioral and Policy Sciences Department, and John Davis, an information scientist. The fellowship will also be renamed the Brown Faculty Chair, but the position will continue to rotate amongst faculty. Pardee RAND's Reaffirmation of Accreditation in 2011 included a requirement to submit an Interim Report to our accrediting body, the Western Association of Schools and Colleges (WASC) Senior College and University Commission, by March 1, 2016. In response to our on time submission, the WASC Commission sent us a letter commending Pardee RAND for our progress on program review, improving degree completion, and serving underrepresented students. As a result they took no action other than to remind us that the next comprehensive review for reaffirmation of accreditation will include an Offsite Review in fall 2019 and an Accreditation Visit in spring 2020, and to encourage our continued focus on strengthening the program. July saw another cohort of students successfully attack their qualifying exams. 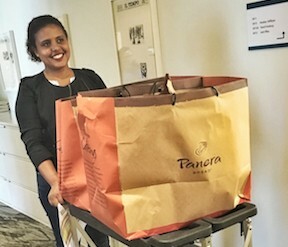 Continuing the tradition of supporting their fellow classmates, Pardee RAND's student-led Coordinating Committee (CoCom) delivered lunch daily to students focused on their exams. This initiative is one of many that CoCom undertakes throughout the year to create a supportive student environment. The committee recently revived the popular mock dissertation defense/conference presentation seminars, which enable students to gain valuable practice by presenting their work to their peers and obtaining feedback on their research. Alum Jonathan Wong (cohort '12) said of his seminar, "It was great preparation for my oral defense. After being immersed in my dissertation topic for so long, it was refreshing to present it to a relatively lay audience. This forced me to be explicit in my explanations and deliberate in my delivery. The experience helped me deliver a better oral defense presentation." Pardee RAND students have been busy collaborating on RAND reports and journal articles. Below is a sampling of recent releases; a full list of student-authored research is available online. 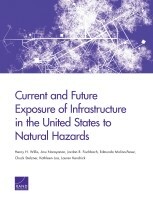 A Pardee RAND trifecta that included students Lauren Kendrick and Katie Loa (both cohort '12), alumni Jordan Fischbach (cohort '04) and Edmundo Molina-Perez (cohort '11), and professor Henry Willis coauthored a much-cited RAND report, Current and Future Exposure of Infrastructure in the United States to Natural Hazards. 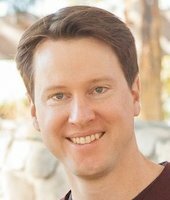 Student Steve Davenport (cohort '15) was the lead author of a longitudinal study of the U.S. marijuana market from 2002-2013, Evolution of the United States Marijuana Market in the Decade of Liberalization Before Full Legalization, published in the Journal of Drug Issues and cited widely in the media. Students David Manheim (cohort '12) and Meg Chamberlin (cohort '14), along with professors Melinda Moore and Rafaelle Vardavas, coauthored Improving Decision Support for Infectious Disease Prevention and Control: Aligning Models and Other Tools with Policymakers' Needs. Julia Pollak (cohort '12) worked with professors Sarah Meadows and Beth Ann Griffin to examine data from the Deployment Life Study and coauthored Employment Gaps Between Military Spouses and Matched Civilians. 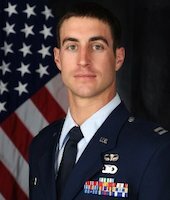 John Speed Meyers (cohort '15) and alum Jonathan P. Wong (cohort '12) wrote In Defense of Defense Analysis for the website War on the Rocks. 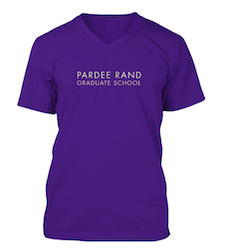 Wear your Pardee RAND pride on your sleeve! Student leaders have launched another effort to print clothing with a customized Pardee RAND logo. They're offering these designs through Teespring, a crowd-funded, custom-apparel website. To print the shirts, a total of 50 items need to be purchased by the end of September. There are several apparel options, and they come in a variety of colors and sizes. Stephanie Chan (cohort '07) is now a health economist at the U.S. Department of Health and Human Services working for the Assistant Secretary of Planning and Evaluation, Office of Health Policy. Myles Collins (cohort '05) is now a senior consultant at Nexant. Diana Epstein (cohort '05) is now senior evidence analyst at the White House Office of Management and Budget. Christina Huang (cohort '10) and Ujwal Kharel (cohort '11) are both data science fellows at Insight Data Science in Palo Alto. Eric Jesse (cohort '11) is now a consultant with the Los Angeles office of Boston Consulting Group (BCG). Nelly Mejia (cohort '11) is now a Steven M. Teutsch Prevention Effectiveness Fellow at the Centers for Disease Control and Prevention in Atlanta. 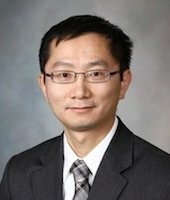 Zhen "Frank" Wang (cohort '05) is now associate director of the Mayo Clinic Evidence-based Practice Center (EPC) and scientific director for Mayo's Knowledge Synthesis Program. He writes, "I enjoy my work and, best of all, I still work with and regularly meet with my friends from RAND EPC." Ruopeng An (cohort '08) was the lead author of Consumption of sugar-sweetened beverages and discretionary foods among US adults by purchase location, in the European Journal of Clinical Nutrition. His research found that Americans buy most of their junk food at grocery stores and supermarkets, not at restaurants or fast food chains. As An told the Philadelphia Inquirer, "It is true that supermarkets also are the largest source of healthy food. But we can't be naive and think that people only purchase healthy food from supermarkets." David Groves (cohort '01) and Prof. Rob Lempert, along with researchers at the Lawrence Livermore National Laboratory, tested five Colorado River water management portfolios against thousands of scenarios reflecting uncertainty about future climate change and development patterns. They presented their findings at a workshop and published the results in the RAND/LLNL conference proceedings Using High-Performance Computing to Support Water Resource Planning. Brad Stein (cohort '97) coauthored Smartphone Applications for Mental Health, in Cyberpsychology. The article characterizes apps readily available to smartphone users seeking mental health information and/or support. Bruce Bennett (cohort '75) participated in a Los Angeles World Affairs Council Q&A on North Korea after a screening of the movie Under the Sun. Arthur Brooks (cohort '96) was profiled in Fortune magazine as one of the world's top 50 leaders. Lindsay Daugherty (cohort '05) participated in a Zócalo Public Square panel on the topic "Is the Internet Turning Our Kids Into Zombies?" and was later featured in a fun Q&A. Silvia Montoya (cohort '06) was described in a Spanish newspaper feature, Los «sastres» de la educación, as someone "whose work makes the difference between a country making progress or not." Casey Wardynski (cohort '97) was interviewed by WHNT-TV about his five years as superintendent of Huntsville City Schools and his plans for the future. 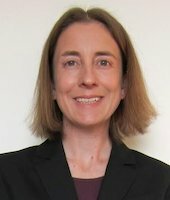 Jennifer Novak-Leonard (cohort '04); dissertation: Considering Cultural Integration in the United States: Empirical Essays on Immigrants' Arts Participation. 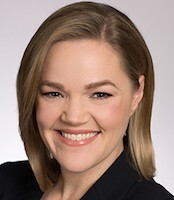 She is an assistant professor in the policy studies department of Vanderbilt University and associate director of the Curb Center for Art, Enterprise & Public Policy. As you know and demonstrate through your own lives, Pardee RAND students, alumni, and faculty are constantly pushing the limits of what is possible through policy analysis and, increasingly, through implementation of the ideas and potential solutions that are inherent in being the answer. Please consider making a financial commitment to support Pardee RAND and our students before the end of our fiscal year on September 30. Thank you! The full transcript and complete video of the keynote address given by Rep. John R. Lewis at Pardee RAND's 2016 commencement were posted to the Pardee RAND website this summer. 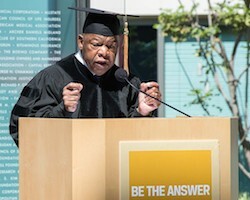 Lewis, a central figure of the civil rights movement, advised graduates that, to make an impact, they will sometimes need to "find a way to get in the way." Lewis recalled growing up in the segregated South and the lessons he learned in fairness, stewardship, and effective public speaking. (To practice his oratory skills to support his aim of becoming a minister, a nine-year-old Lewis preached to a flock of chickens.) Lewis urged graduates to make the world "a little cleaner, a little greener, and a little more peaceful." The celebration awarded 45 doctorates and 46 master's degrees in public policy analysis, and was attended by more than 350 people. 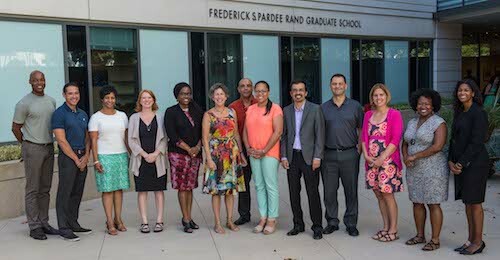 The Pardee RAND Graduate School held its newly renamed Faculty Leaders Program in Policy Research and Analysis (formerly the Summer Faculty Workshop) in the Santa Monica office during the week of July 18. Through the program, the school offers an intensive introduction to policy analysis, RAND, and Pardee RAND to faculty members from institutions serving highly diverse student bodies, with the goal that they will introduce methods of policy analysis into their teaching and encourage the next generation of policy analysts. During the special keynote event on July 21, RAND alum Nicole Lurie, Assistant Secretary for Preparedness and Response with the U.S. Department of Health and Human Services, discussed "The Flint Water Crisis: Policies, Politics, Programs... and People." Pardee RAND alumni Cheryl Damberg (cohort '89), Jodi Liu (cohort '12), Jordan Ostwald (cohort '08), and Jeffrey Wasserman (cohort '85) were among the attendees. Susan will be hosting an alumni dinner in the Bay Area on Thursday, September 22nd and would love for you to join her. A formal invitation will be sent shortly with more details about the evening. On September 27, from 5:30 p.m. to 7:30 p.m., we would like to invite members of the RAND and Pardee RAND Alumni Associations to a discussion with RAND's Sina Beaghley, formerly the director for intelligence and information security on the National Security Council staff, on the challenges of balancing intelligence, security, and privacy. 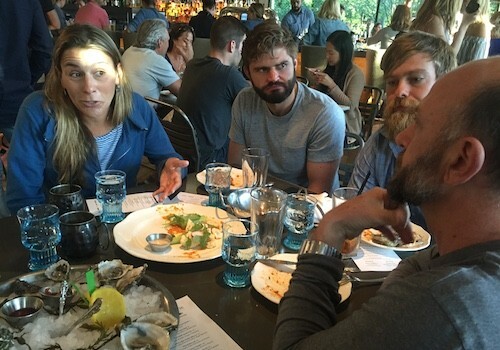 In celebration of the new school year, we encourage you to attend a happy hour hosted by Pardee RAND and student leadership in Santa Monica on September 29, to meet and mingle with the new 2016 cohort and other Pardee RAND students. We hope you'll connect with us for food, drinks, and the opportunity to share your expertise and advice with these future alums! Keep your eyes out for an invitation — it will be sent shortly with more details about the evening. November 3: Pardee RAND APPAM Reception in Washington, D.C.
As in years past, Pardee RAND will host a reception for students, alumni, and faculty as part of the annual APPAM conference. Stay tuned for more specifics on time and location.